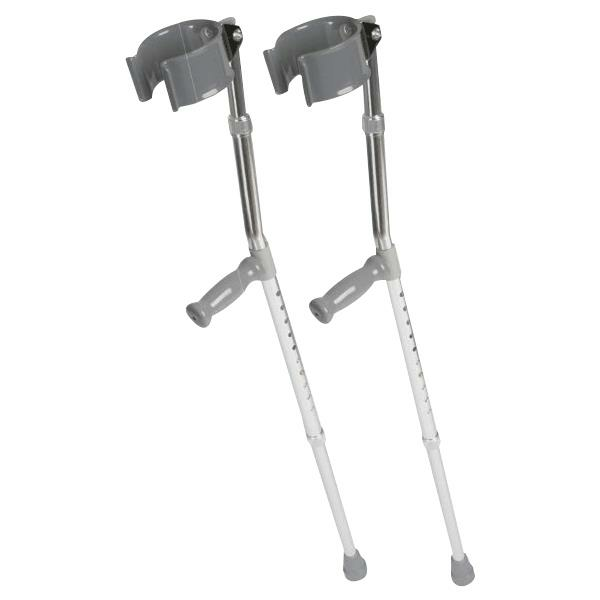 Tubular Fabricators Forearm Crutches are designed with push button adjustment which is adjustable in one-inch increment. These crutches generally used by patients with permanent disabilities. They feature vinyl hand grip and one-inch anodized aluminum tubing construction.